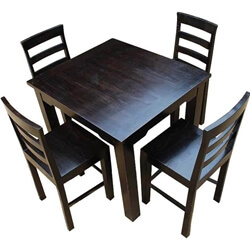 The Santa Cruz Mission Counter Height 5 Pc Dining Table Set is handcrafted using Solid Wood and black wrought iron. 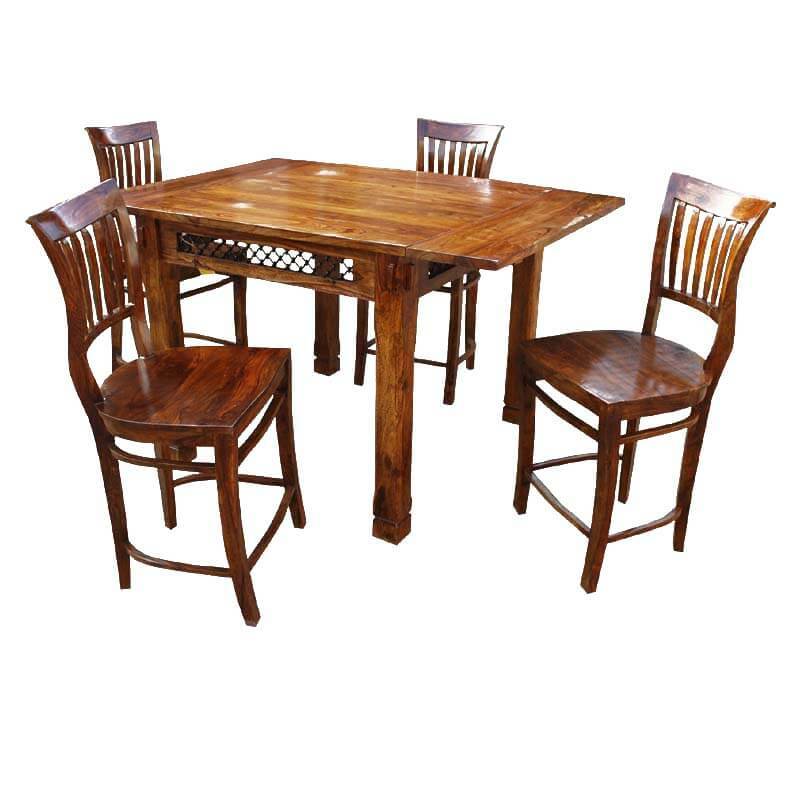 This ultra-durable combination of hardwood and iron creates a strong and beautiful look. 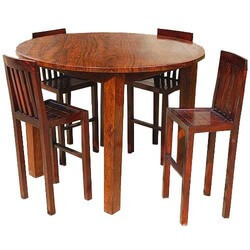 This elevated dining table and four chair set are perfect for today's active lifestyle. 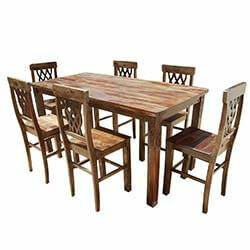 The dynamic wood grain pattern works with today's eco-friendly designs. The table extension offers you the space you need when you need it. The decorative wrought iron grillwork is set in by hand. The counter-style school back chairs feature a curved ergo dynamic back to promote good posture and back health. 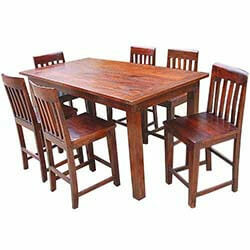 Each chair is built with two three-sided stretchers for extra strength and support. The high backs and wide seats add an extra dimension of comfort.